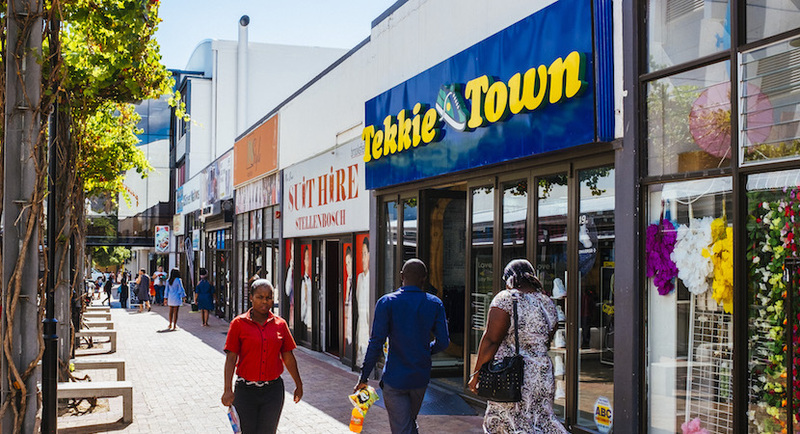 (Bloomberg) – Steinhoff Africa Retail Ltd. shares fell after Tekkie Town head Bernard Mostert quit alongside fellow senior managers following a legal claim lodged against the retailer by the shoe chain’s founding shareholders. STAR, as Steinhoff Africa is known, has repeatedly said it shouldn’t be held liable for the claim by Tekkie Town founders led by Braam van Huyssteen, which relates to an earn-out agreement after Steinhoff International Holdings NV bought the company in 2016. Shares in Steinhoff, which owns 71 percent of STAR, collapsed amid an accounting scandal late last year. Speaking to Johannesburg-based 702 radio Tuesday night, Mostert said the executives’ relationship with STAR had broken down with no hope of repair. It reached the extent that Van Huyssteen, who had already left the company, served an eviction notice to STAR to vacate offices he owns in the coastal city of George. The shares fell 4.6 percent to R16.57 by the close in Johannesburg Tuesday, the most in almost month. The stock is down about a third since the Steinhoff reported financial wrongdoing in December. STAR has put an interim management team in place, led by Riaan van Rooyen, and will provide support to “continue operating business as usual,” the Cape Town-based company said in an emailed statement Tuesday. Tekkie Town operates 368 out of STAR’s 5,100 outlets and contributes about 3 percent to annual revenue. STAR, which also owns clothing chains Pep and Ackermans, has been trying to distance itself from scandal-hit Steinhoff, which in December reported accounting wrongdoing that wiped more than 95 percent off its market value. It’s planning to change its name to Pepkor Holdings Ltd., the clothing retailer sold to Steinhoff by billionaire Christo Wiese in 2015, and is seeking non-executive directors untainted by the relationship.